Why doesn't he offer signed copies? He does. If you click on the book on the website, you can see he asks if/how you want it personalized. Launch date is tomorrow I believe. Looks like Gary's book cover design stuck. I'm looking forward to reading it. Further to Joel's comment, a look at the room in which the cover work was done. Must be a space geek's office! The cover's InDesign file is open on the computer. The Space Store has announced that Scott Phillips will be launching "Remove Before Flight" at their Titusville Cocoa, Fla. location on Nov. 29. 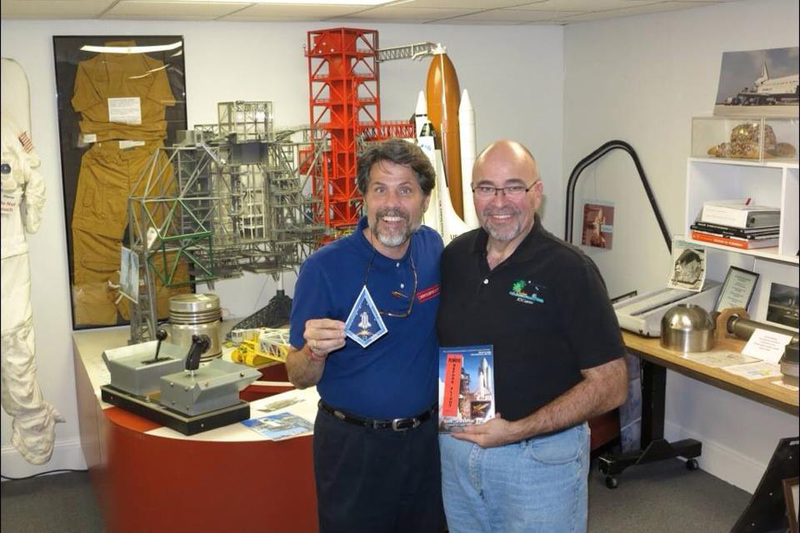 Scott will be signing his book and displaying his incredible Space Shuttle Tribute wooden models. 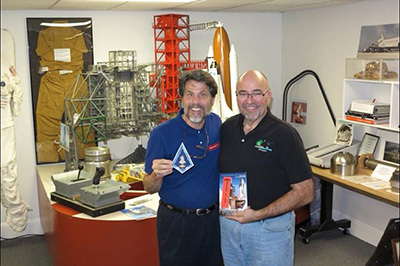 Actually The Space Store is located at 212 Brevard Avenue in Cocoa, FL. In historic Cocoa Village. Contact Brett at 321-978-5311 for details. Received my copy with a real "Remove Before Flight" ribbon on the front. Just looking through the pages, it looks like a great story! This is an excellent look inside the space shuttle program from the perspective of a passionate contractor employee. Scott tells the story of being hired for some mundane work on the very first shuttle’s External Tank and how he parlayed that position into a 33 year career working on the ET, built by Martin Marietta under contract to NASA. I found this book hard to put down - it’s not a traditional murder/mystery type of page turner but it tells so many interesting stories and anecdotes that you want to get back to it quickly. In his introduction Michael Griffin explains some of this appeal. Paraphrasing: This is not the story of a famous astronaut or senior manager of the program, it’s the story of one of the “grunts”, the guys on the ground who make things happen. And Scott pulls no punches in describing his experiences over the decades - like most companies, there are petty jealousies, opinionated employees and managers more concerned with ego than safety. And though reading about these practices on a national level like the Space Program is disappointing, realistically it would be impossible to create any large program employing thousands of people without them. On top of his career Scott and co-author Dianne weave the story of his personal and family life. This is also well done, as we find some of the origins of Scott’s passion in his early days and parents, then continue that journey when he marries and has children. And when the shuttle program finally ends and the employees lose their jobs (including Scott), he transitions into his current role of author, historian and cheerleader for the space shuttles he knew so well. Overall this is a well written account of what most of us would call a life well lived - uplifting career, family and personal experiences over the past 50+ years. It will be interesting to see what Scott does next. I highly recommend this book. Disclaimer: I know the Phillips’ family well and helped design the book’s cover. Finally got to meet Scott Phillips, his wonderful wife Dianne and their boys Christian and Tyler. 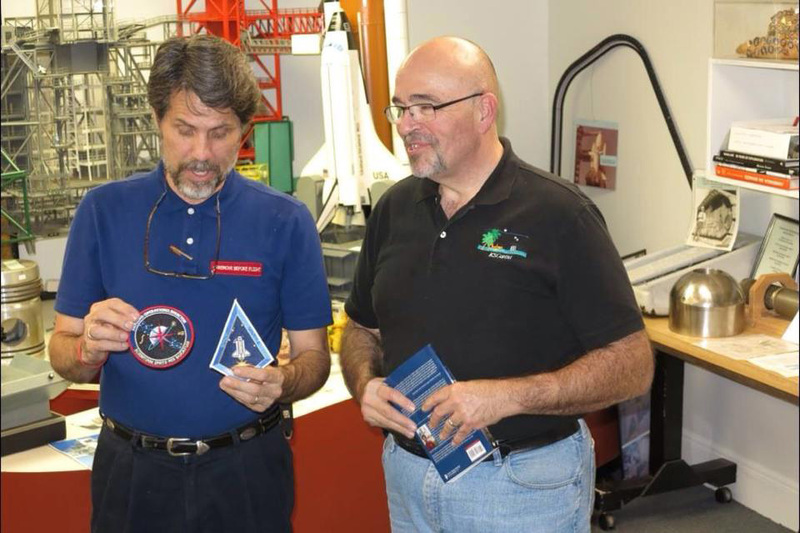 I was able to arrange a private after hours tour at the U.S. Space Walk of Fame Museum in Titusville. 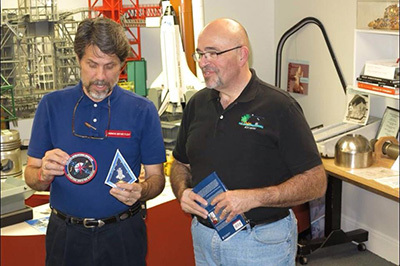 Sharing the passion of the shuttle program. 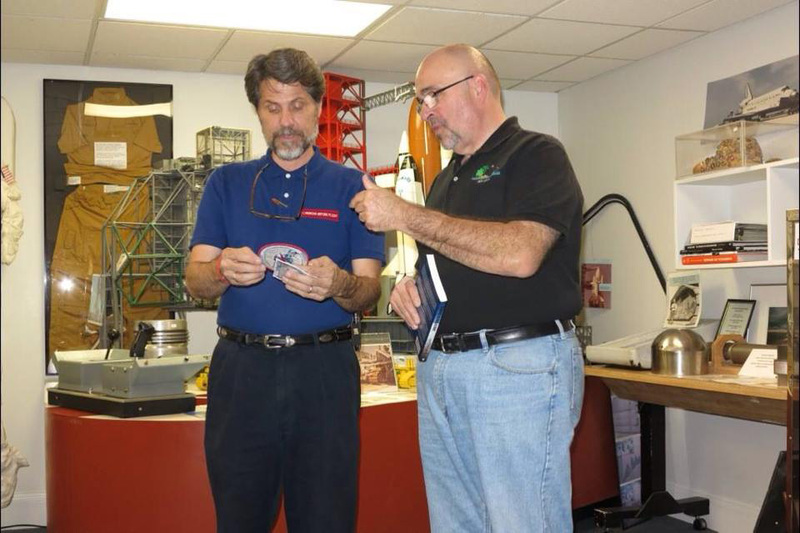 My book "Remove Before Flight" is available with a free RBF bookmark, NASA decal and signature. Go to my website: removebeforeflightbook.com.